Other hobbies: Who has time for other hobbies? Racing achievements: I have won some races, I have come in after they have torn down the finish line and handed out all the prizes, and I have more memories from racing adventure races than anything else in my life. Thoughts about, and goals for racing ExpAk: I am looking to have a great adventure, to share everything with my teammates and finish healthy. Thoughts about, and goals for racing ExpAk: This will be my adventure racing retirement race. 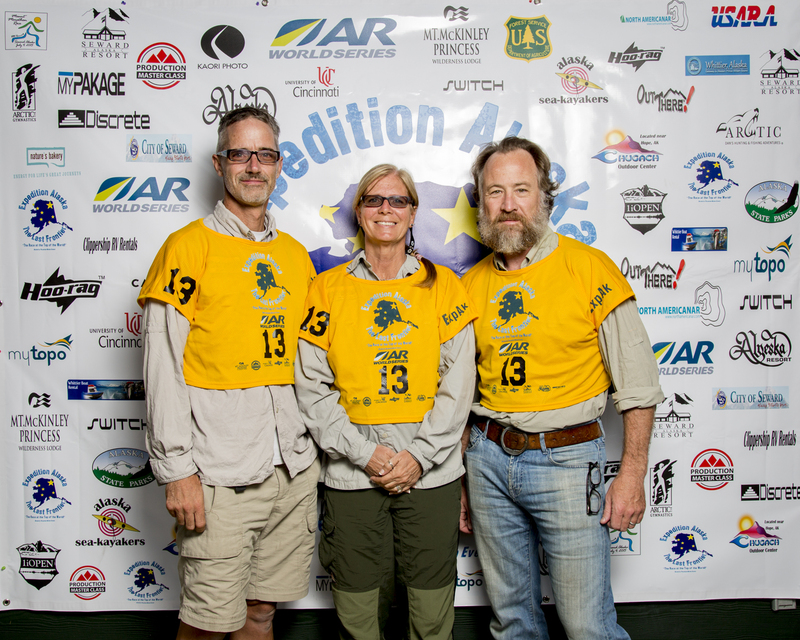 I had said that at Expedition Idaho a few years ago and then raced in Belize last year. But…..this is the final one for me! Expedition Alaska will be the final chapter in an awesome life of adventure racing that has given me memories that will be with me forever. I have seen, climbed, swam, biked, paddled, ran, hiked and slept in some of our planets most incredible landscapes. I have met some of the most incredible people and have formed friendships to last a lifetime. I have no doubts that Alaska will rank up there with the best of them. I hope to make it through the race (I am not a fan of water segments, actually a bit terrified) safe and sound with my team, take hundreds of pictures, not slide down in a crevasse, not freeze to death in the icy waters, not get eaten by a bear and cherish every moment with my team….and of course…..cross that finish line hand in hand with Jay and Rob. Travel Years racing: 12 years Racing achievements: My main racing accomplishment has been that I have managed to keep racing in spite of everything else that life throws in the way. I love that my kids see me race and integrate it into our lives. I love that I can now race on occasion with my son. Thoughts about, and goals for racing ExpAk: I am most excited by the idea of the capital ‘A’ for adventure. I am motived by the expedition nature of the race. We pride ourselves as a team on being very stable and self-sufficient. I hope those skills keep us in the hunt.